Regardless of whether you are implementing your Online Strategy as part of your business growth plans or whether it’s part of your EXIT Strategy, the best time to start is NOW! Not only is the “Best Time” about demonstrating when your Business does what it does and when else it does/might do so (whether you’re directly involved or not). It’s also about forming part of your Finishing Unfinished Business criteria in terms of the timing to actually put your Business on the market. What I mean by that is, if you maintain sales intensity for a set period of time only, then a buyer is going to be really interested in how she can extend such periods and/or activate them more often, eg: is your Business seasonal? If yes, when is it at its peak, so that a prospective buyer can get a real sense of not only what happens, but also a hint of what the potential is? Maybe your peak is not seasonal, but driven more by the contracts signed and their term left to run. Say you have multiple contracts that run for 10 years each. It’s going to be more appealing for a buyer if the Business can be bought when there’s a long time left to run on those contracts rather than trying to sell when they have expired and run the risk of not been renewed! Take my third and largest (7-figure) Business sold in 2011… It had contracts with one of world’s premier petroleum manufacturers for a 5-year term. Knowing that executing an EXIT was in the Business Plan, it made sense to put the Business on the market when the contracts were only two years old, thus giving way for the buyer to not only handle the re-contracting when due, but also to “court” the client, so they got to know and love the new owner before contract due date was nigh. Same applies when you have got a lease on a premises that the Business can’t really leave easily. If there’s 2 years to run on a lease, that won’t be as appealing as say 20. Same applies again to the Online Strategy. Is it locked and loaded, producing Google Analytics stats showing the up-trend in traffic. Having identified the key words as part of the initial set up and rollout, are they will relevant and what others need to be added. Is your website and other digital media activities delivering what’s expected? If yes, then you need to be able to prove it, just like you can with contracts and leases, mentioned above. Coming back to when your Business does what it does… are there other times when your Business could operate but you have chosen not to? because you do like to sleep some time! This can definitely be an opportunity of interest as a buyer may have ways and means to handle time differences. How can your Online Strategy really make the most of this? Always keep your Business market trends in the forefront of your mind, know of opportunities and what’s possible, whether you have chosen to capitalise on them or not. 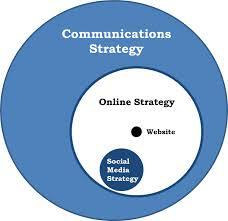 Creating and rolling out your Online Strategy is certainly on way of availing of what’s happening in your market.